DataOps Platform for Integrated Data Testing & Production Monitoring. DataOps is a set of practices and tools used by Big Data teams to increase velocity, reliability, and quality of data analytics. It emphasizes communication, collaboration, integration, automation, measurement and cooperation between data scientists, analysts, data/ETL (extract, transform, load) engineers, information technology (IT), and quality assurance/governance. It aims to help organizations rapidly produce insight, turn that insight into operational tools, and continuously improve analytic operations and performance. 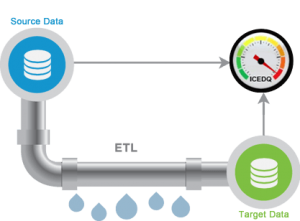 The Data-Centric projects with Linear Waterfall methodologies are longer to finish. According to Gartner More than 50% of data Integration projects have limited acceptance or outright failures. 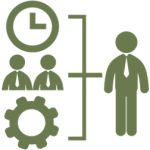 83% of Data migration projects exceed their budgets or schedules. With iCEDQ, the sequential development model can be transformed into a TDD – Test Driven Development and/or Agile development. Not only, it will shrink the development pipeline but also quicker release cycle. Business users are involved earlier in defining audit requirements thus greatly improving the chances of success. Human Error Both the complexity of data projects and volume of data has increased. It is humanly impossible to manually test or keep track of it. The data error can be significantly reduced by QA automation (Unit testing, Regression Testing). The automation testing a large volume of data and higher test coverage. Operations In production, data flows must be monitored every day. However, most systems today only monitor the jobs and are not the data transformation. This creates a blind spot in operations. The result, data issues are only known when the users complain.iCEDQ provides complete data flow monitoring capabilities. You can monitor data trends, exceptions, provide alerts and warning as defined. 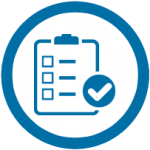 You can build your custom dashboards and provide complete traceability. iCEDQ is specialized in-memory rules engine designed to Validate and reconcile data. Users create and store these rules permanently in the repository.